"Trees are beautiful and amazing organisms that people connect with in the deepest of ways." Martha Copestake, one of two city foresters in the City of Ottawa's planning department, speaks about the upcoming Urban Forest Management Plan and the need to both protect the current canopy and plant additional trees. Growing up, being in the woods or in nature was always a big part of my life. Even though I grew up in cities, Ottawa and Toronto, weekends with my family were usually about walks in Gatineau Park or on the Bruce Trail. I also went to a summer camp in Algonquin Park for many years as a camper and counsellor. When it came time to decide what to study at University, Forestry seemed to make the most sense for me because I love being outside and I love trees – pretty simple. I’ve also always known about “forestry” from the Ottawa Valley logging heritage on my Mom’s side to driving past the EB Eddy plant every weekend as a kid. Q.2. From your perspective, what are the contributions made by trees that make them so important? Trees clean our air, keep things cool, and help us connect to our space. Trees are beautiful and amazing organisms that people connect with in the deepest of ways. I find the emotions surrounding trees, whether positive or negative, truly incredible. Q.3. What is your role as a forester with the City of Ottawa’s planning department? I spend a lot of my time implementing part of the Urban Tree Conservation By-law by reviewing tree conservation reports and landscape plans that come in with development applications and working with developers to retain existing trees within the new developments. I also have input into and involvement with policy initiatives related to trees and forests in the city. Currently, I am launching a new project to develop an Urban Forest Management Plan for the City. The project was identified as one of the City’s strategic initiatives. Q.4. In your opinion, given the current state of Ottawa’s urban forest, what is more important at this point: protection of current trees or increasing the tree coverage? Why? The City of Ottawa focuses on both retaining and protecting existing trees and on planting new trees; both are equally important. Planting new trees helps us sustain the urban forest into the future. Retaining and protecting existing trees ensures that we are benefitting from all the inherent values mature trees provide. Q.5. The City of Ottawa recently approved going forward with the development of an Urban Forest Management Plan. What will this plan set out to achieve? The Urban Forest Management Plan will provide a structured approach to protecting and enhancing the environmental, social, and economical benefits provided by the urban forest and it will ensure that it is healthy and robust into the future. Q.6. Recognizing that stewardship by the community and local stakeholders is key to urban forest sustainability, what role do community stakeholders play in protecting and enhancing the urban forest? Are there any good examples to demonstrate this? Community stakeholders play a big role. They help to identify the natural values in their neighbourhoods and act as advocates for those values (trees, greenspace, etc.). They can also identify locations that could be enhanced by tree planting and work with their community, the City, and schools to make that happen. The best example I have is a project we are working on with the Ottawa Stewardship Council. They have committed to focus on the management of city-owned urban woodlots for the foreseeable future. We are just wrapping up our first project with them. We identified a woodlot in need of some loving care, Kemp Woodlands in Stittsville, and Ottawa Stewardship worked with the community and the local school to identify how the woodlot was being used and how they see it being used into the future. A strong partnership was developed with the adjacent high school and, through the school’s environmental program, they will take over stewardship of the woodlot into the future. Over one year, Ottawa Stewardship organized an inventory of the woodlot, mapping of the trails, an assessment of which trails to limit use of because of sensitivities, developed signage for the woodlot, and will have the signage installed. Over the next year, we will be working on our second partnership in a woodlot in Barrhaven. Q.7. What are the current bylaws that are in place to protect city trees? To protect trees on private property? The by-law for city-owned trees is the Municipal Trees and Natural Areas Protection By-law 2006-279. For trees on private property, the City has the Urban Tree Conservation By-law 2009-200. Q.8. How even is the tree coverage across the city’s various urban neighbourhoods? Are there any neighbourhoods that stand out as either as being very well treed or have very little tree coverage? The tree coverage is not even across the City, and in the inner urban core (downtown) it is likely at its lowest. Q.9. Finally, do you have a favourite tree in Ottawa? If so, what species of tree is it and where is it located? 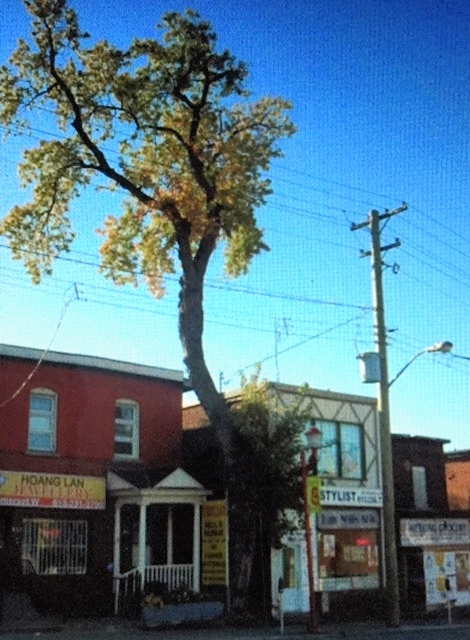 · The poplar tree behind the houses that form the north-east corner of Elm and Rochester. This is by far the tallest tree in my little neighbourhood and the most impressive view of it is from the top of the stairs on Lorne Avenue. · The elm tree that towers over the cherub fountain in the Rockeries in Rockcliffe. I got married under this tree and it’s a healthy elm – I think that’s a good omen.